I broke up a cat fight by putting down food, though I have a vague suspicion I've been outwitted by people who are cats who weren't actually angry at one another. 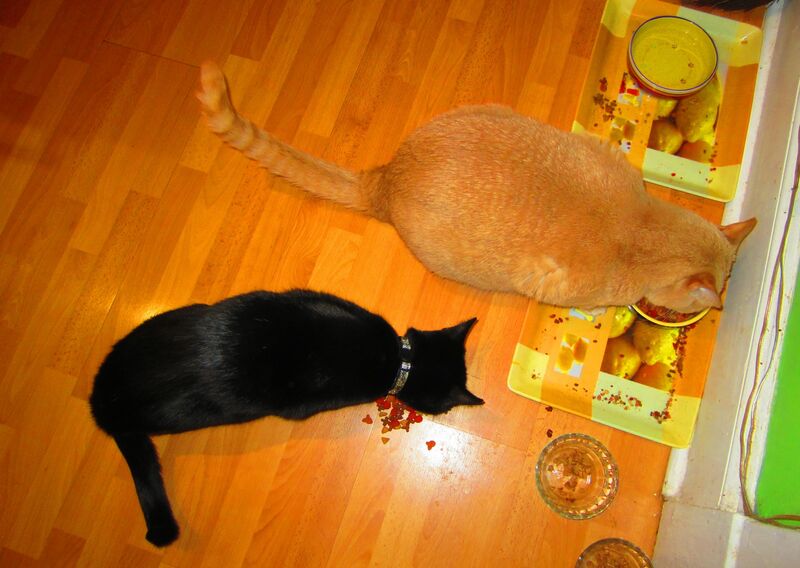 This entry was posted in our furry overlords and tagged cat fight, cat food, cats, suspicion. Bookmark the permalink.